Hell's Kitchen Season 9 Where Are They Now? 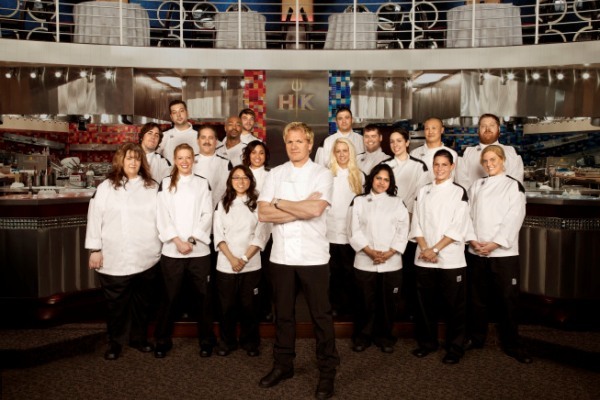 Hell's Kitchen Season 9 aired July 18 to September 19 2011,there were 18 contestants and the prize for the winner was a Head Chef position at BLT Steak in New York City, New York. Find out what the Hell's Kitchen Season 9 contestants did next after appearing on Hell's Kitchen with Gordon Ramsay. Hell's Kitchen Season 9 where are they now? 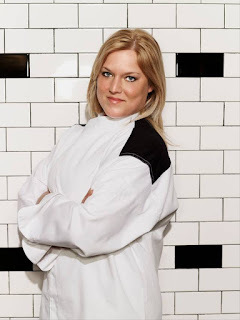 Amanda Colello was a Personal Chef from Sun City, California. She was eliminated in show 3 due to her lack of fight in the competition. After the show, she returned to her career as a Personal Chef and has done a number of cookery events and charity fundraisers. 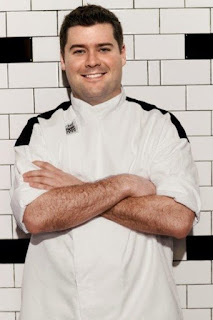 Brendan Heavey was a Head Chef from Hoboken, New Jersey. He was eliminated in show 2 for his poor performance and his ego. After the show, he was head chef at Irish Exit before he returned to college and graduated with a Masters of Business Administration. 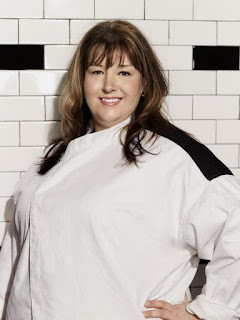 Carrie Keep was a Pantry Chef from Dallas, Texas. She was eliminated in show 10 due to her lack of experience but Gordon praised her for her ambition. After the show, she took a break from the kitchen and is now a Pilates instructor. Elise Wims was a Line Cook from Pittsburgh, Pennsylvania. She was eliminated in show 15 but was praised for her resilience and allowed her to keep her jacket. 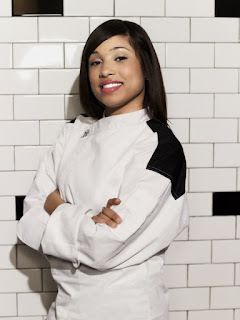 After the show, she started her own catering/consultancy/food demonstration business The Diva Chef and her own fitness prepackaged food company. 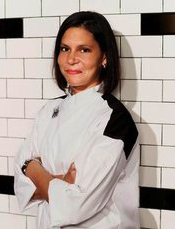 Elizabeth Bianchi was a Line Cook from New York City. She was eliminated in show 12 as Gordon felt she wasn't ready to lead a kitchen. 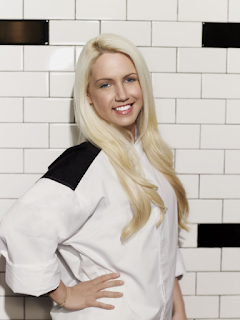 After the show, she returned to the kitchen and is a Chef at the Union League Club. Gina Melcher was a Restaurant Consultant from Cape May, New Jersey. She was eliminated in show 5 due to her deteriorating performances, failure to communicate and her lack of fight for her place in the competition. After the show, she appears to have returned to her previous role. 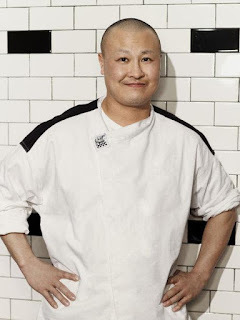 Chino Chang was an Executive Chef from Hatboro, Pennsylvania. He was eliminated in show 4 for his consistently poor services. After the show, he worked at Redstone American Grill. 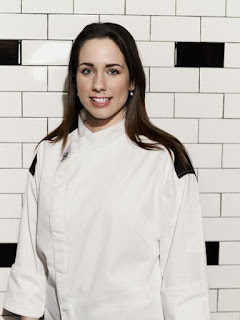 Jamie Gregorich was a Sous Chef from Bradenton, Florida. She was eliminated in show 9 due to her lack of fight to win. After the show, she returned to her previous career as a culinary instructor at Manatee Technical College. 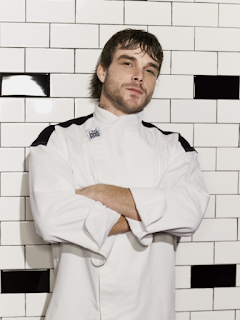 Jason Zepaltas was a Line Cook from Chicago, Illinois. He left in the first show after becoming short of breath and being rushed to hospital. 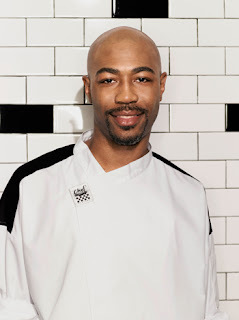 After the show, he returned to the kitchen at Real Kitchen and other restaurants before returning for season 12 of Hell's Kitchen. 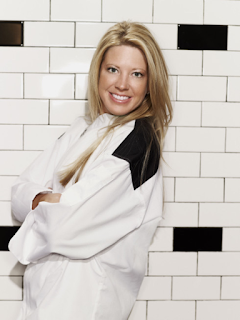 Jennifer Normant was a Chef de Cuisine from Boston, Massachusetts. She was eliminated in show 14 for her worsening performances but Gordon praised her heart. 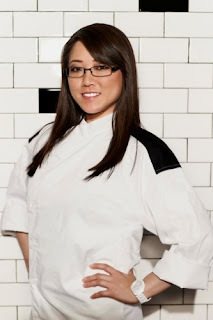 After the show, she was Executive Chef at Beacon Grille, Kings and is currently Executive Chef at Sea Level Oyster Bar. Jonathon Plumley was a Head Cook from Memphis, Tennessee. He was eliminated in show 8 due to his poor communication and performances and refusing to accept blame. After the show, he became a Culinary Consultant. 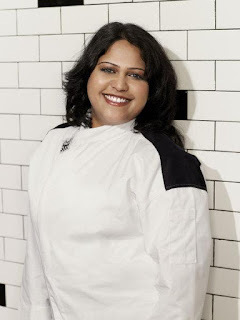 Krupa Patel was a Private Cook from Queens, New York. She was eliminated in show for her deteriorating performances but praised her heart. After the show, she returned to her previous career as a Private Chef. Monterray Keys was a Line Cook from Darby, Pennsylvania. He was eliminated in show 6 due to his inconsistent performances but was praised for his effort. After the show, he appears to still be cooking at an unknown location, email me any info! Natalie Blake was a Sous Chef from Harrodsburg, Kentucky. She was eliminated in show 11 for her deteriorating performances but praised her energy. After the show, she was Head Chef at The Jax, which has since closed. Paul Niedermann was a Sous Chef from Davie, Florida. 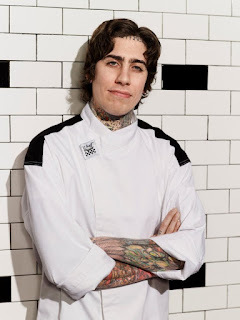 He was the Hell's Kitchen Season 9 winner due to his passion and determination and he dedicated the win to his mother who had passed away a few months prior. 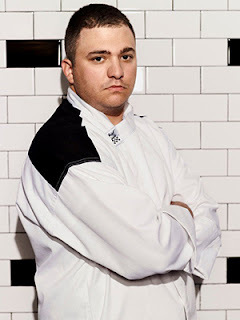 Steven Paluba was a Chef from Ridge, New York. He was eliminated in show 1 for having the worst performance of the service. After the show, he opened his own restaurant Tauk at Trails End. Tommy Stevens was a Line Cook from Brewster, New York. He was eliminated in show 15 but was praised by Gordon for his passion and energy in the kitchen. 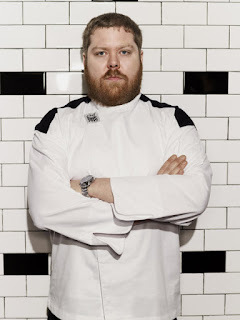 After the show, he cooked at Ancient Mariner, appeared on Cutthroat Kitchen and now works at Iron & Wine Restaurant. Will Lustberg was a Sous Chef from Jersey City, New Jersey. He was runner up in season 9 losing out to Paul, he took his defeat graciously. After the show, he returned to work at The Waldorf Astoria before moving on to work at The Princeton Club of New York. Elise is a horrible, selfish person. So glad she didn't win this season. I agree. I stopped watching the show when Elise got the black jacket. I had watched the show's first runs on tv then stopped watching at some point. When I ran into it on Amazon I could not remember why I stopped watching, so I started at the beginning season. Season eight's Sabrina irritated me so much I threatened to stop watching, but Elise was over the top. Watching streaming episodes reminded me why I stopped watching. I stopped watching season nine when Elise got the black jacket. I totally agree, her smugness and the fact that she literally got in everyone's face just got to me. I did not stop watching though because I relish the moment where the horrible people get put in their place and kicked out. They needed Elise for the drama, that's it. I have to encourage myself to keep watching until she FINALLY gets kicked off and when she does i swear I will jump up and down! She and Sabrina were why i stopped watching too. It annoys me when the worst cooks or worst people are kept on for drama's sake only and then praised. I swear that Gordon kept her on the show JUST because of the drama she created. From the first elimination votes, I was wishing that Elise would be the one kicked off, even over chefs that had way worse services. She was soooo much worse than Sabrina (I was totally thrilled when she got booted). And the faces that Elise made, O.M.G. Wow. I seriously can't believe he let her keep her jacket. She did NOT deserve that honor, however, Jennifer sure did. And all that talk from Will and Paul about "oh, I just spoke the truth". Bull. Jennifer was a WAY better cook than Elise. She screwed up on ONE risotto, Elise screwed up on like 10 batches of fish on JUST THAT NIGHT. All that Gordon did keeping Elise around, was to make sure that future participants act like jerks to each other, abotage their teammates (Like Elise did to Will in the Hot Plate service) and refuse to take ANY responsibility whatsoever for the mistakes they make. I just started watching it again and had to stop during the second episode due to Elise’s huge and ugly mouth and aggression. Sometimes when I watch a season for the second time, people that I couldn’t stand before seem not so bad. But Elise?! I’m getting flat out angry and I refuse to watch her ever again! To me she’s the worst of the entire show. I m glad Paul didn't get the head chef position. I really don't like him. I'm surprised Elise lasted as long as she did. Will should have won. I kinda felt Paul got a pity win. Stopped watching this season when Elise got a black jacket. I understand the audience needs someone to root against but Elise was too much.